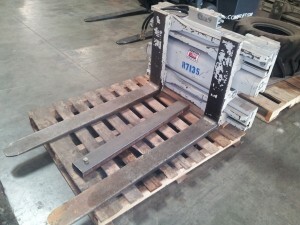 2003 LANTECH Q300XT shrink wrap machines in great condition! 2 units in stock in Hayward! The Q300XT automatically attaches and cuts the film. Equipped with a fully protected mechanical cut & clamp. 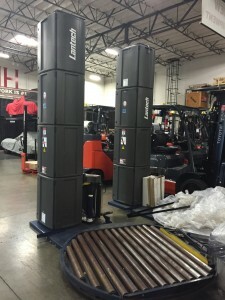 Rightline ITA fork positioners are highly recommended for all lift trucks handling irregular loads. 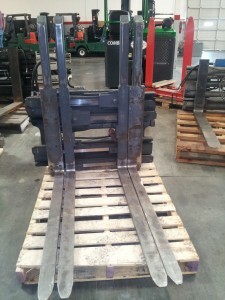 A fork positioner allows drivers to move the forks hydraulically without leaving the seat. Side shifting models have the additional ability to laterally position the arms or the entire load for faster and more accurate lifting and placement. Strong double T-profile Welded forks to the arm carriers Reduced weight, LL and centre of gravity. 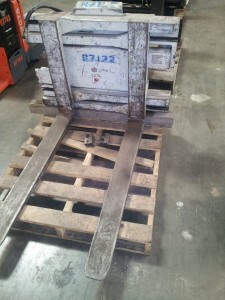 Excellent visibility “EU” models for the handling of Europallets. The Loron Single Double Pallet handler is a versatile attachment that allows efficient handling of single or double loads. Operate both as a clamp and a fork positioner. 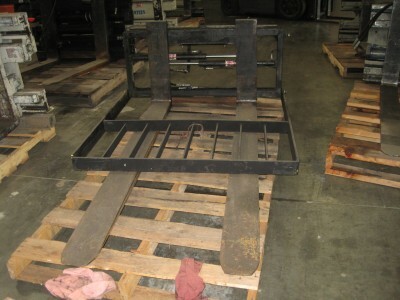 Awkward loads, such as crates, bales & tires can be clamped between the forks with this cascade carton clamp. 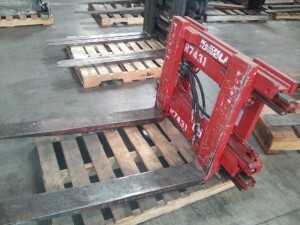 The ability to position the forks speeds pallet handling and reduces wear and tear on the pallets. 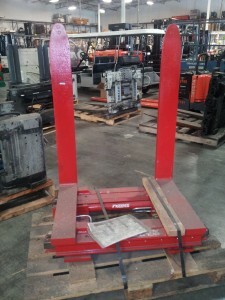 Single/double pallet handler for handling one or two pallets. 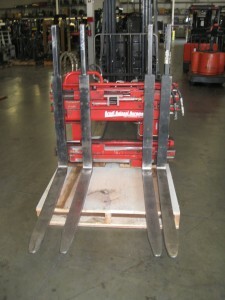 These models offer the possibility to lift pallets on both sides, either singly or two at a time. Excellent visibility through the body. separate sideshift provides constant sideshift fance regardless of the fork opening (mode DS) Synchronized fork movement with flow divider valve. Operate both as a clamp and a fork positioner. Awkward loads, such as crates, bales & tires can be clamped between the forks. 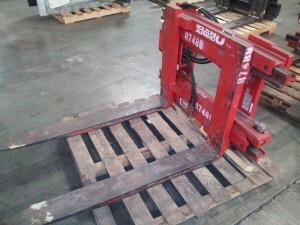 The ability to position the forks speeds pallet handling and reduces wear and tear on the pallets.